Directions: Take Exit 28 Bryants Road off the M1 (heading south) or Exit 33 Murrays Road off the M1 (heading north) at the Logan Hyperdome Shopping Centre. From Exit 28, veer left, go straight through the lights and turn right at Vision Stream (the old blue Nutrimetics building) into Commercial Drive. From Exit 33, veer left and go right at the roundabout (near the BP service station) and then left at the next roundabout. Go over the bridge (over the M1) and turn left at the lights at Vision Stream (the old blue Nutrimetics building) and then right into Commercial Drive. The office is at the very end of Commercial Drive on the left hand side of the cul-de-sac, next door to Aussie Car Loans. Free car parking is on site. 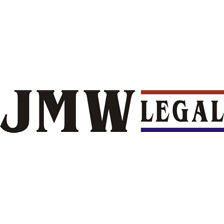 Please see the designated car spaces marked “Reserved for JMW Legal” at the front of the office. There are 2 available either side of the wheelchair parking space. If both spaces are taken, please use the Visitors Parking at the entrance gate. Please do not park in a car space that is reserved for another business.